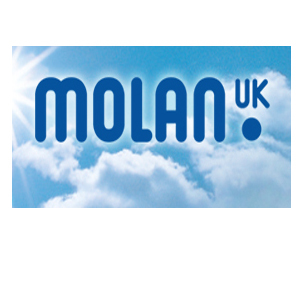 Molan is the UK market leader in the supply of bespoke, cut to size, multiwall polycarbonate and associated plastic sheet products; primarily for the construction of conservatory roofs. Molan has been trading since 1987. They started using Benchmark’s core accounting package in 1990 when the company had a turnover of around £600k and employed 10 staff. They now use our advanced accounting system (with a range of add-ons), comfortably managing increased turnover of around £7.5m and a staff of 80. As the company’s turnover increased, the sheer volume of paperwork required to process orders was overwhelming them. Orders were being processed manually (approx. 5 x A4 lever arch files PER DAY!). This was proving to be time consuming, used expensive printer inks and made it very difficult to refer back to historic orders. We wrote a specific Scanned Document Archive (SDA) system that allowed Molan to electronically record all documentation from both their sales and purchase ledgers. Our accounts package (Chancellor) automatically generates PDFs of invoices and other sale related documentation and then saves them to a specific location (either a job number or a customer for example). Equally, documents such as advice and delivery notes can be manually scanned and PDFs created and saved, again to a specified file. This system can be enhanced even further by the use of barcoding which can fully automate the process. This system saves them time, money, storage space and makes referencing archived orders quick and easy. “One of the reasons we use Benchmark’s accounting software is that Molan has grown with it and Benchmark has given us more functionality as we’ve needed it. They are flexible and have a range of affordable add-ons that help you get the software to do exactly what you need. We’ve looked around, and for us, Benchmark’s Sales Order Processing module is the best on the market. Their support service is excellent, with friendly staff that you can build up a relationship with. We would never have got Sage to show that level of flexibility to meet our needs.